Are you a cricket fan? or Are you a Football fan? Are you also a fan of new and exciting venues , with new and exciting experiences? Are you not a fan of rushing around trying to get tickets? Groundwala was made for you! Here is a list of some sports events for July and August month. Not every sports event can be listed here, though we have tried to include all the amazing sports events of the major sports. 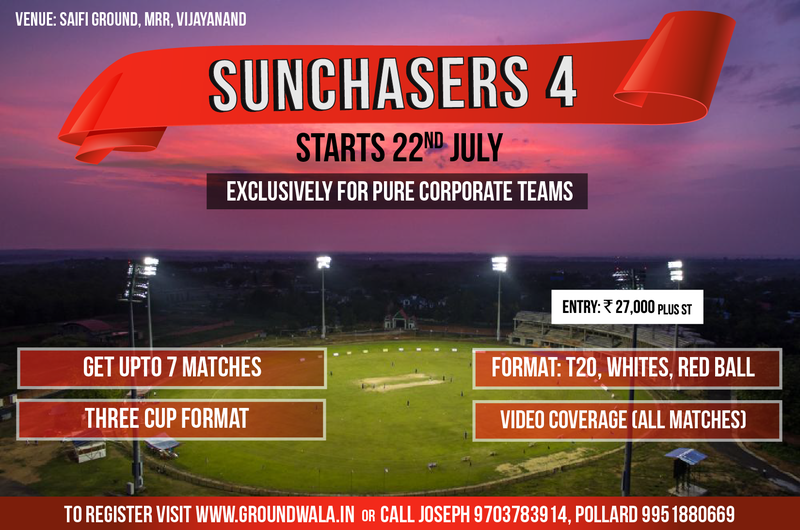 Sunchasers is most exciting cricket League only for Pure Corporate Teams. 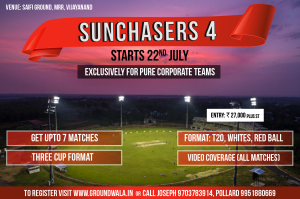 Tournament Format is T20, Three Cup format. 12 Teams divided into 2 groups of 6 teams each,Round robin stage every team will play all the other team in the group. i.e. Each teams plays 5 league matches. 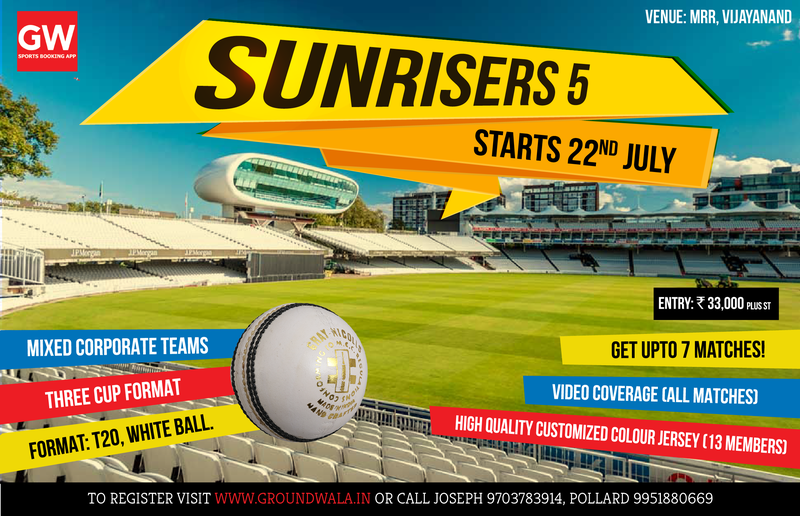 Sunrisers is also amazing cricket league For Mixed Corporate Teams.Tournament Format T20 ,Three Cup format. Up to 24 teams Teams divided into different groups of 6 teams each,Round robin stage every team will play all the other team in the group. i.e. Each teams plays 5 league matches. 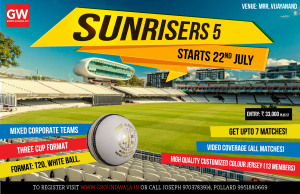 All matches will be played on Sat and Sunday and each day three matches will be played at 7:00 am 10:30 am and 2:00 pm.Video Coverage for Knockout matches and Refreshments for all matches. 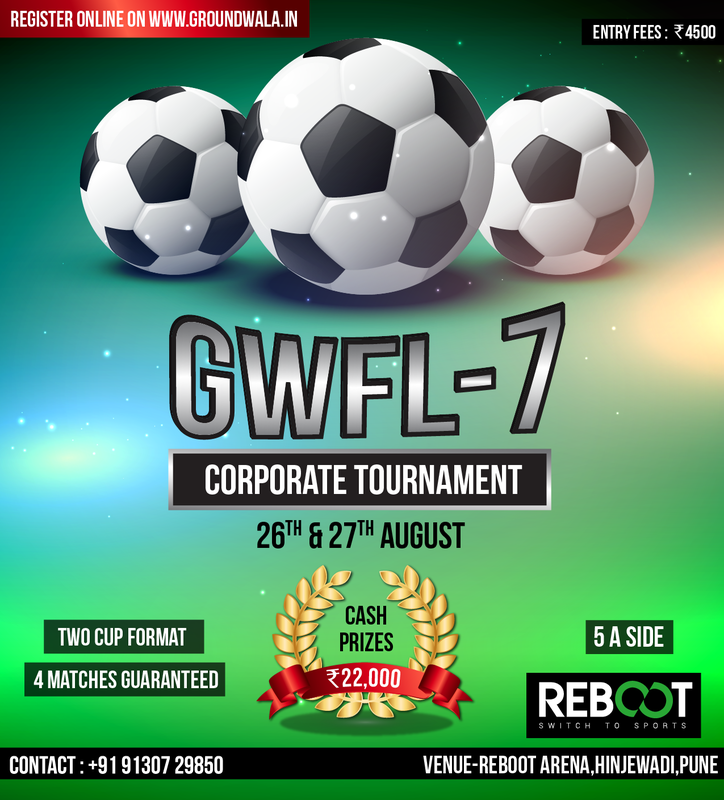 GWFL is most popular football tournament. Two cup Format,5 A side Corporate tournament, 4 matches guaranteed.Each game is to be played for 22 minutes, (10 minutes each half). A maximum of 2 minutes is given to change ends at half time.There can be multiple team entries from one company. All matches will be played on Saturday 26th August 2017 and Sunday 27th August 2017. Sports events involving the testing of sporting artistry through competition are one amongst the foremost enduring of human activities – as a nation, we tend to love them!